Sie kämpfen für ein freies Internet und gegen eine Klage in Millionenhöhe: Fredrik Neij, Gottfrid Svartholm Warg und Peter Sunde heißen die Männer hinter "The Pirate Bay", einer Plattform zum dezentralen Datenaustausch. Der schwedische Dokumentarfilmer Simon Klose begleitet die drei bei ihrem Kampf ums Netz. Seit 2006 stehen die Verantwortlichen immer wieder vor Gericht. Vor allem die US-Musik- und Filmindustrie baute politischen Druck gegen Schweden auf, drohte mit Handelssanktionen und verlangte, die Verantwortlichen wegen Urheberrechtsverletzungen zu verurteilen. Die auf Bittorrent-Technologie basierende Tauschbörse ist die größte der Welt. "TPB AFK" konzentriert sich auf die drei ungleichen Freunde, die sich im Chat kennen gelernt haben. Svartholm Warg und Neij kümmern sich um die Technik, mehrere Schränke voller Server. Sunde tritt vor allem als Sprecher der Piratenunternehmung auf. "Away from keyboard" hält sie offenbar nur der Prozess zusammen. Simon Klose zeigt den Pirate-Bay-Prozess aus der Perspektive der Angeklagten, ohne sich auf ihre Seite zu schlagen. Die kühlen, oft nachts aufgenommenen Bilder und die sparsam eingesetzten Klänge lassen die Filesharing-Verfechter vor allem sehr einsam erscheinen - ganz Hackerfilm-Klischee. 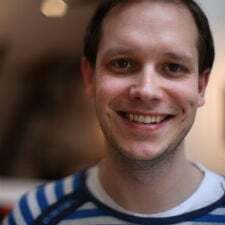 Despite a pending prison term for his involvement with The Pirate Bay, Peter Sunde is determined to join the European Parliament in Brussels. 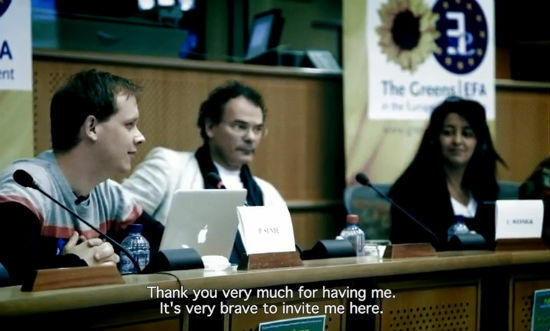 The former Pirate Bay spokesperson announced his plans last year, but with the European Parliament elections coming closer this idea has now become reality. Sunde is currently listed as one of the 19 candidates who will be on the voting ballot of the Finnish branch of the Pirate Party. Unlike in other countries, the Finnish candidate lists are not in order, which means that there is no lead candidate. However, due to his involvement with The Pirate Bay, Sunde is without a doubt the most recognized name on the ballot. As if the candidacy for the European Parliament isn’t enough, today the European Pirate Party also elected the Pirate Bay founder as their pick for the European Commission presidency, together with Amelia Andersdotter. TF reached out to Sunde who is happy to hear the good news. “If elected, I’ll go and bug fix the EU. We need to reboot the thing called democracy and make it work.” he told us. In addition, Sunde told us that he’s ready for the Finnish election campaign which will kick off during the coming weeks. As can be expected of the Pirate Bay founder, he has strong opinions on the topic of file-sharing and freedom of information. Sunde believes that the Pirate Party can make a huge difference in the European Parliament, as the two current members – Christian Engström and Amelia Andersdotter – have already shown. If Sunde is elected, he hopes to revamp current copyright law and legalize casual file-sharing. “Non-commercial file sharing should of course become legal and protected, and we must re-think copyright all together. Copyright is not the thing that makes ARTISTS money, it’s only for their brokers and distributors,” Sunde told us previously. Copying is baked into people’s genes according to Sunde, quite literally. “People learn by copying others. All the knowledge we have today, and all success is based on this simple fact – we are copies,” Sunde notes in his bio. Amusingly, Sunde told TF that he also reached out to Finnish-born Kim Dotcom to join the race. However, the Megaupload founder decided to focus his political aspirations on New Zealand instead, where he founded the Internet Party. Aside from politics, Sunde himself is still involved in several other projects that are dear to his heart. This includes the micro-donation service Flattr and the encrypted messaging app Heml.is which is expected to be released later this year. The latter may come in handy in Brussels, as the NSA is known to spy on political figures. Source: TorrentFreak.com , for the latest info on copyright, file-sharing and anonymous VPN services. being detained. Check it out in an exclusive TPB AFK update here. For more articles and videos about Gottfrid's situation, press the links embedded into the video.